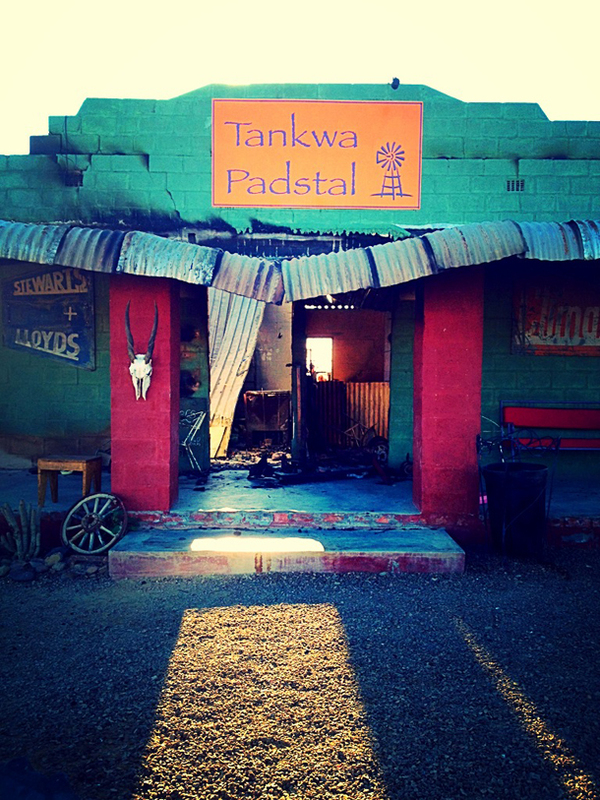 By now you probably know the sad news: the Tankwa Padstal, our favourite little padstal / bar / oasis in the desert burned down on Saturday night. 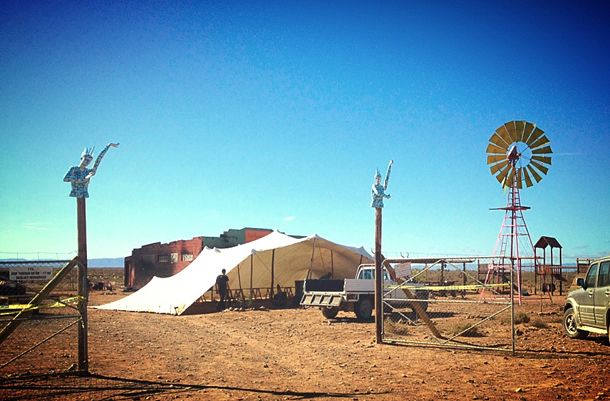 This past Wednesday morning, after a few quick decisions from Outreach and DPW, a crew of AfrikaBurn representatives were on their way north with a trailer full of supplies and support. Spending the day with Hein, Susan, Walter and Henriette on their beautiful, sustainable working farms filled me with inspiration. Their passion and commitment to the Padstal ensured that it became the heart of the R355 and the greater community that they are a part of. 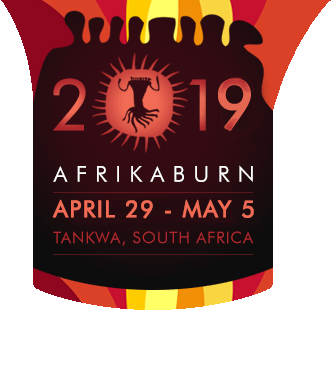 The stories of support, love and encouragement that they have received from the people in the area, the AfrikaBurn community, the biker and old car crews that pop in for drinks regularly and so many others all over the country confirm this. More than a hundred locals are expected to turn up on Tuesday to help clean up the site, remove rubble and knock down some walls. It was with this in mind that we pitched a big white stretch tent in front of the ruin of the Tankwa Padstal. In the shade is a bar (priorities! 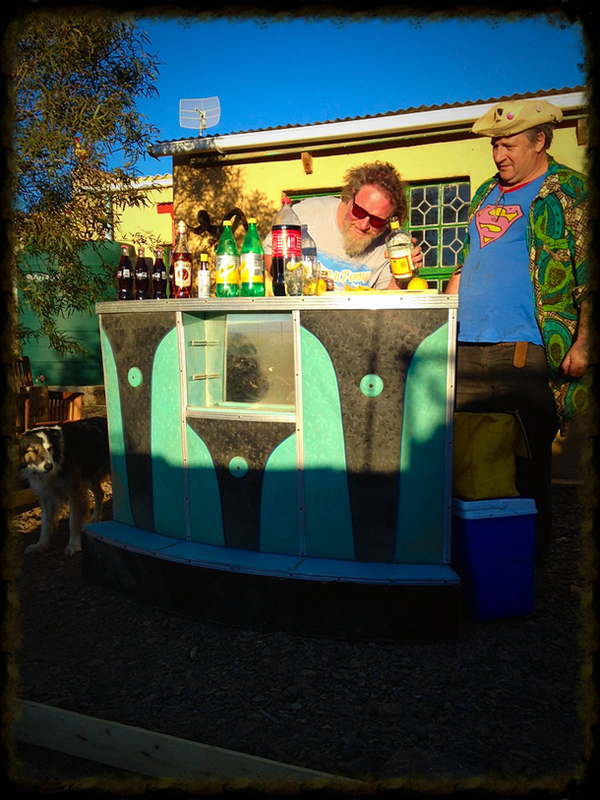 ), a few tables and chairs and a coffee table made by Kurt (the manager at our Nansen Street yard). 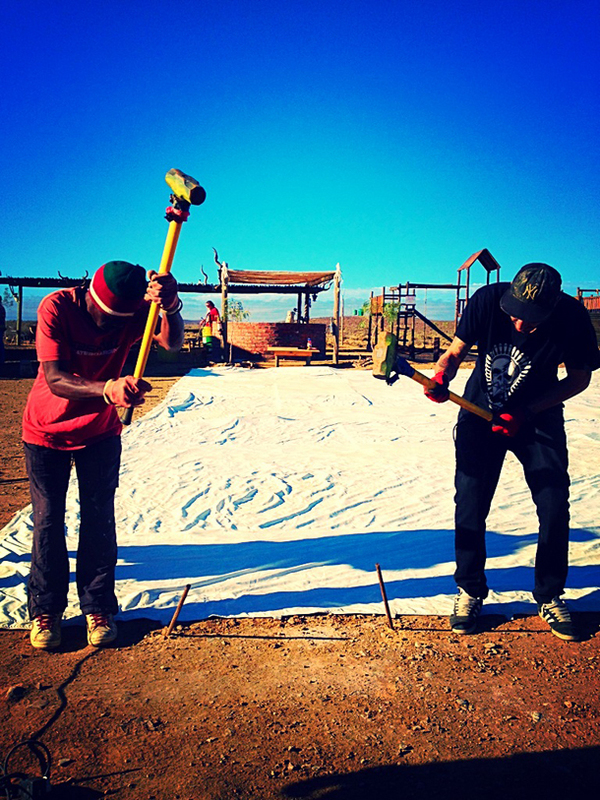 You could clearly see that the sight of the tent, a fresh white canvas (literally), delighted the Padstal crew and inspired them to rise again from the ashes. Hein and Susan are very keen to start the library gain asap but lost most of the books – any entertaining or educational books (ook in Afrikaans!) would be very much appreciated. Many of the locals who came to sympathise mentioned that they did so because the Padstal provides a lot of help to their children and their education – I think pencils, pens, notebooks, erasers, rulers etc are excellent donations to ensure the kids still get this valued support. Walter and Henrietta would like to tile the floors of the new bigger and better Tankwa Mall in mosaic style and any odd tiles, broken or whole, one or many, that you might have will be very welcome. Hein wants to get the shop up and running with the essentials that they provide to the community asap – donating things like flour, mieliemeel, long life milk, sugar etc is a great idea! Any loose shelving would also be very helpful. Susan mentioned in passing that they need a big f-off sign that says YES WE ARE OPEN! to put on the road, if anyone could make, design, paint or print this (and another that says ONS IS OOP JA!) that would be a lovely surprise. Donations can be delivered to Kurt at 6 Nansen Street, Observatory, Cape Town on Saturdays between 9am and 1pm. Let’s show these guys how much we appreciate everything they do and get them up and running in time for their big Community Day on 1 November. 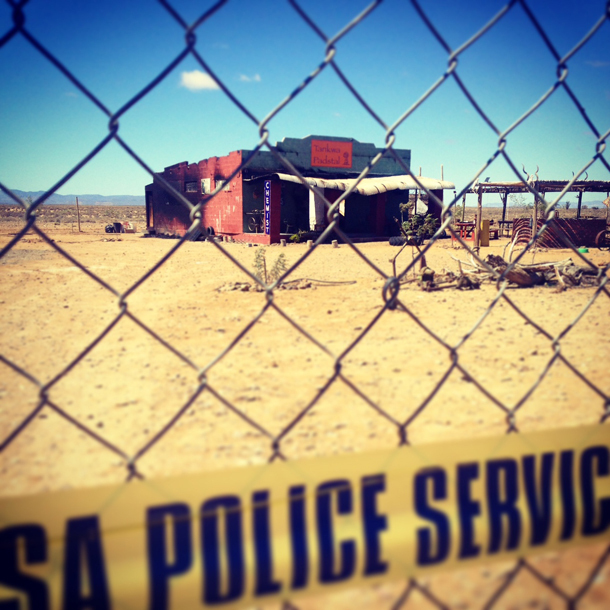 It’s true – up to 600 people are expected to turn up at the Padstal that day. The Western Cape Department of Health is sending a ‘medical truck’ with dentists, optometrists, doctors and nurses to service the locals; ou tannies from the area are coming to make roosterkoek for everyone; there will be boeresport and face painting and lots of fun activities for the kids; donkey carts will be serviced and donkeys will be shoed… and so much more. If you would like some more information or you are keen to help out in any way feel free to contact myself on [email protected] or Robert who heads up Outreach on [email protected].